I hesitated to contemplate before writing this movie review. 9/11 remains a charged, sensitive, and controversial subject in the United States; I believe the same is true worldwide, although presumably in a different sense and perhaps to a lesser degree. 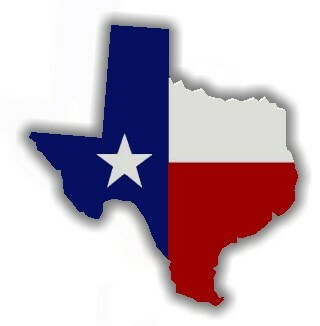 I can only speak for myself and, less so, for the country where I live; less still for the rest of the world. I’ll do my best here. 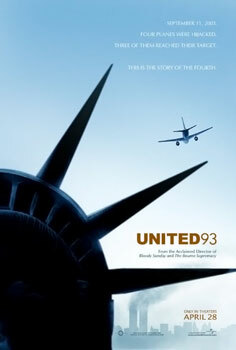 United 93 was released in 2006 and tells the story of United flight 93, the 4th hijacked airplane on 9/11, which was taken down by the passengers in a field in Pennsylvania. It shows the first three planes go down, and then follows UA93 in real time up to the finish. As Rotten Tomatoes notes, it’s “even more gut-wrenching because the outcome is already known.” If nothing else, a far less impressive movie than this one would be emotionally harrowing for anyone who can remember that day, I think, regardless of your politics or complicated reactions to the unfolding and varied understandings of what’s happening in our world and why; I believe a basic human reaction is horror. I’ll say in a nutshell: I think the movie is well done. There are qualifications coming, but to start, it is a moving experience, the acting is convincing, and the drama is fully wrought. My greatest concern while watching this movie – about which I knew nothing; I wasn’t even aware it existed until Husband put it on – was the level of respect given to surviving families, and the faithfulness to the real people involved. My brief research after viewing* indicates that director Paul Greengrass (great name) put in some effort to authenticate his characters, working out clothing and reading material and giving actors opportunities to study their characters’ lives and habits. This is good; this is what I was looking for. It won’t be perfect, of course. This being Hollywood, all the people are more or less beautiful (they don’t seem to produce a great many ugly actors), which I doubt (with all respect) was true of the real passengers on that plane. And Wikipedia states that ” there are some notable exceptions” to the victims’ families’ cooperation with the film; however, the source cited for that line of text says that “filmmakers said ‘Flight 93’ had the cooperation of all the families of the passengers who died on the flight.” So, I’m confused. Who cooperated and who didn’t? I don’t know and I’m not trying to make this into a research project; I’m simply pointing out some ambiguity. Further, there’s the controversy over the German passenger’s portrayal: read about it here. Another chief concern is the commercialism: this movie was made to turn a profit, right? IMDB notes in its trivia section that “the filmmakers donated a percentage of the opening weekend proceeds to the Flight 93 memorial near Shanksville, Pennsylvania. The actual amount donated turned out to be $1.15 million.” However, I would bet that somebody still made a buck; and that obviously leads us to some concern. On the other hand, what’s more American than making a profit from every last thing that happens to us or anybody else? What I’m getting at is this: to make a movie about 9/11 is a wildly challenging, potentially dangerous undertaking, bound for controversy. I find it a curious phenomenon. A number of movies have been made; this is the only one I’ve seen. (I’m going to read Extremely Loud and Incredibly Close one of these days, though.) I’d like to go back to my nutshell statement that this is a moving and well-done movie, not without some concerns, and owing much of its moving nature to its subject; but it earns the “well-done” part itself. I would recommend it with some reservations to someone interested in watching a movie about 9/11, but not everyone will be. I am about as removed from this tragedy as an American can be – I didn’t lose anyone I knew; I don’t even think anyone I know lost anyone – and I still found it pretty painful. So, exercise caution. Finally, and I think this is obvious, this movie assumes that Americans are good and the passengers that wrestled the plane to the ground were heroes. The second assumption is pretty firmly rooted; the first offers room for debate. Within the United States, we’re so numb to these assumptions that we hardly notice them; but the comments on IMDB, for example, make clear that different parts of the world quite naturally react differently to 9/11 and to this movie. Noted. The world is a complicated place and very few things are cut’n’day or black’n’white. You can take it from there, I think.